Do you like Birthday party? I do 🙂 and today I join 2 birthday parties at The Stamp Nation and Winnie & Walter. I made 2 cards for both birthdays. The second card is inspired by a One Layer Card video tutorial by Maureen Merritt at The Stamp Nation Birthday Bash Forum. And this card is also I link up at Winnie & Walter 1st Bash, One Challenge with Shay. 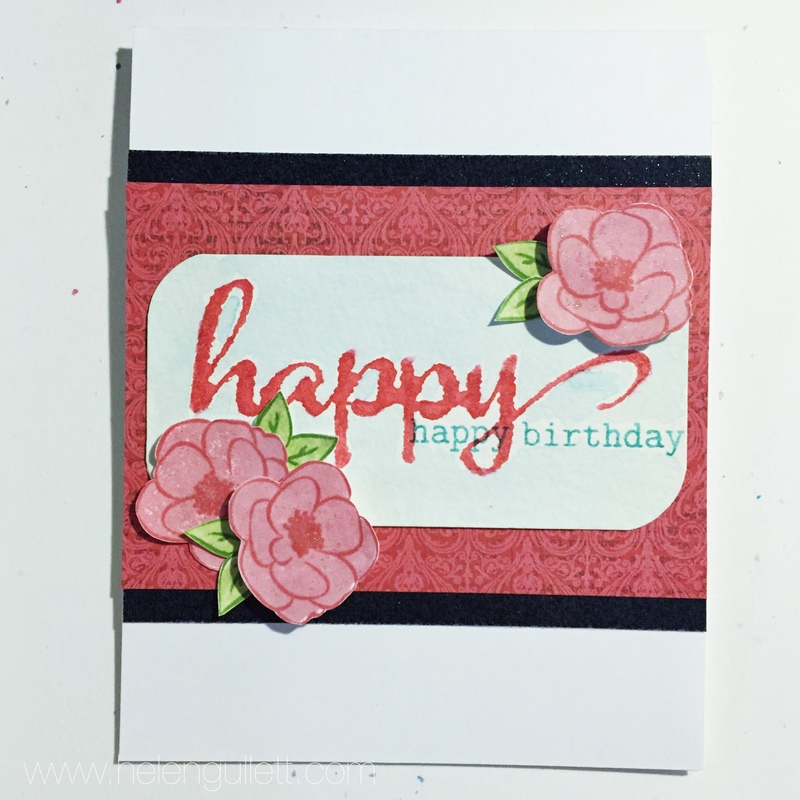 Maureen’s tip to give some scoring lines on the card to give some texture is very creative! I love how it turn out 🙂 Click here to watch her video tutorial, you’ll love it!